Mickey loves to jump and play. 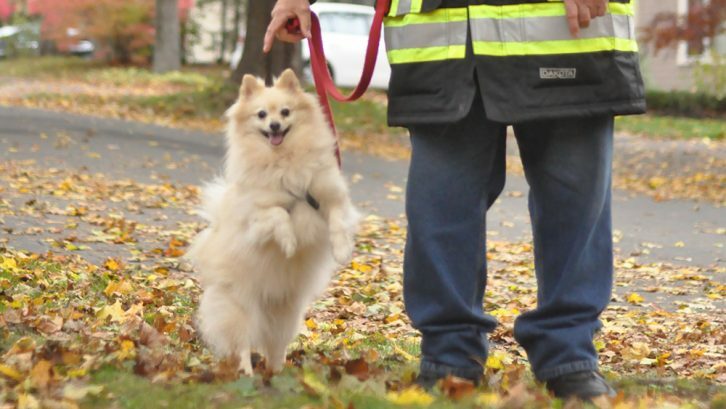 The energetic five-year-old Pomeranian loves his walks too — sometimes more than five of them a day. This a complete turnaround from just eight months ago, when Mickey wouldn’t walk at all. Mickey is a rescue who spent the last five years confined in a little cage in a puppy mill, which are known to breed dogs in inhumane environments. 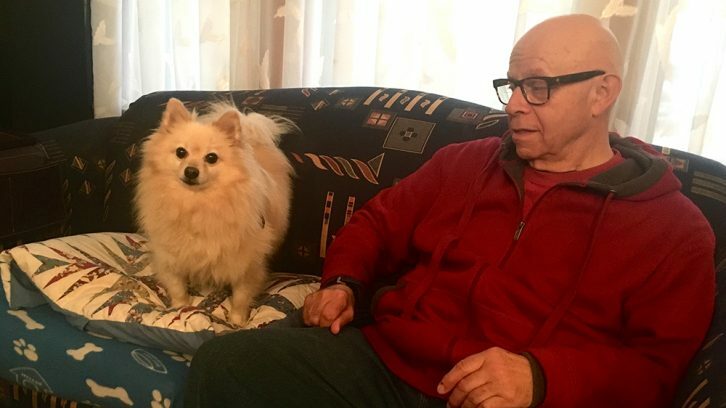 Robert MacKintosh, 73, decided to get a dog after the aunt he was caring for died. In March, he went to the SPCA and saw a photo of Mickey, then called Hawthorne, on a wall at the shelter. At first, Mickey just stared straight ahead and didn’t make eye contact with anyone. He didn’t walk or bark or even squeak. He refused to visit the dark basement. He ate food quickly, which led to frequent vomiting. He was missing 14 teeth because they had rotted so badly they needed to be removed. MacKintosh says Mickey was even afraid of the Velcro on his new doggie jacket. Amy MacRae, a representative with the SPCA, explains that due to the poor conditions in puppy mills, dogs there often suffer from health and social problems. “Puppies raised in a cramped environment shared by many other dogs become poorly socialized to other dogs and to humans,” MacRae says. MacKintosh says he developed a plan to help Mickey. He talked to him constantly, just like he would to a friend. Gradually, Mickey got used to people and became more active. One day in April, MacKintosh noticed that Mickey moved a little bit. The next day he moved a little farther, then he walked another 12 feet or so. He even bought a new car when he got Mickey because he thought they would spend a lot of time on the road together. 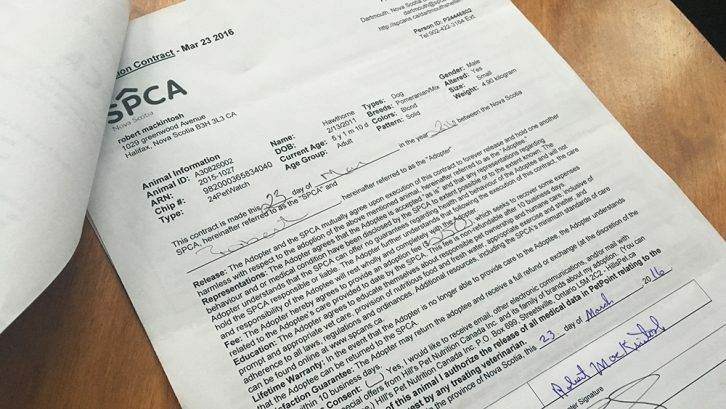 Since then, they’ve put 17,000 kilometres on the car, including a summertime trip to Peggy’s Cove. Together, MacKintosh and Mickey are a familiar sight in their south-end Halifax neighbourhood. Some of the neighbours regularly offer Mickey treats, or stop by to pat him. This fall was the first time Mickey got to roll around in the leaves.